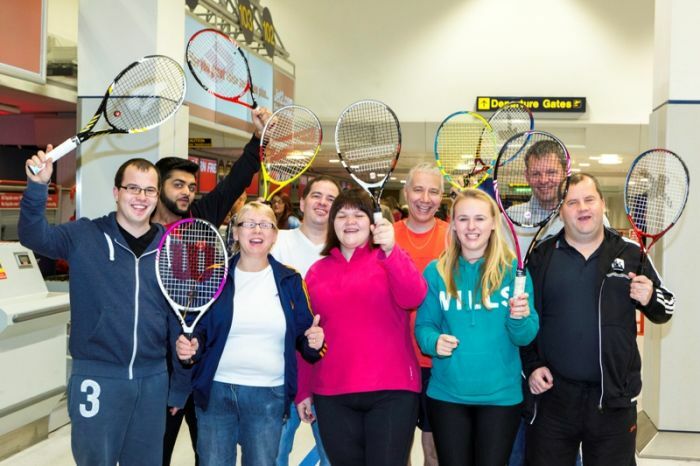 Jet2.com served up a treat this week by helping a group of visually impaired tennis players jet off on a bespoke coaching holiday in Portugal from Manchester Airport. The leading leisure airline stepped in to help the team, led by Rosie Pybus (22), take part in this special trip. Seven partially sighted players, plus their two coaches, have been donated free flights to participate in a four-day tour which will see them play in a promotional tournament and visit a number of top tennis centres in the Algarve to train on different surfaces. Be the first to comment on "Jet2.com Helps Visually Impaired Tennis Team Ace It!"